If you're a regular visitor to this blog, you might have noticed that this review has been a long time in the making. Trigger Warning carried over from week to week in my "What I'm Reading" lists because, well, I just wasn't hooked. Yes, it pains me to admit that I didn't love this short story collection. Neil Gaiman is undoubtedly my favorite living author (and has held that position for quite a long time) and I've read and enjoyed all of his other works. 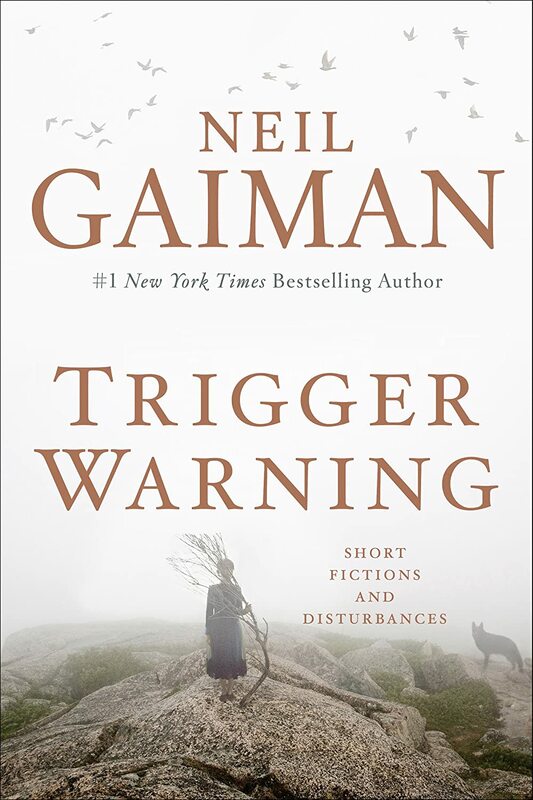 I purchased Trigger Warning as soon as it was released and fully expected to be swept away by it like I was by American Gods, The Graveyard Book, and The Ocean at the End of the Lane. Alas, I was not. I actually had to struggle to even finish the book. What made this read such a feat? Only a few of the tales in this collection felt to me like they had that "spark" that hooks the reader in the first few paragraphs and makes them unable to put the book down until the story is over. And by a few, I mean just that: three stories out of twenty-four. I will give the book the benefit of doubt, however, because reviews are merely the opinions of individual readers after all. Perhaps Gaiman's structure and voice only work for me in longer formats. Perhaps his flavor of short story is slightly different than my tastes prefer. Whatever the reason for this book not entertaining me, I'd still encourage fans of the author to pick it up and try it out. I do wish that I had waited for the paperback.